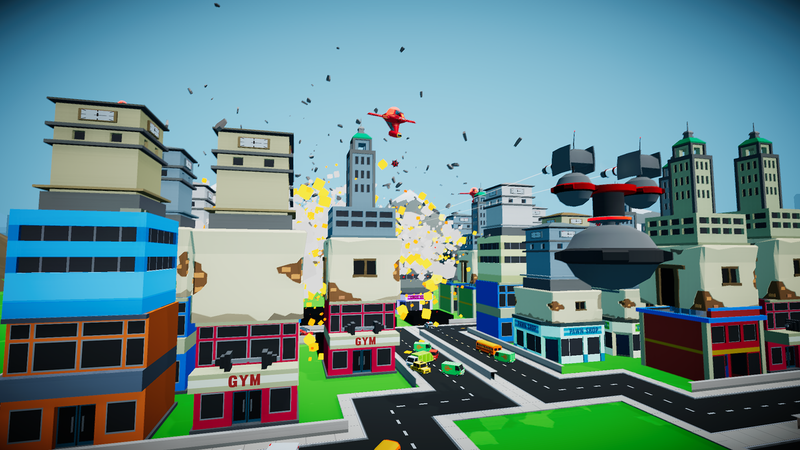 Defend your city from alien invaders in this colorful virtual reality game! Aim, shoot, and protect your planet for as long as you can in a variety of game modes & special missions! Planet Protector VR is perfect for showcasing virtual reality to your friends, family, and other newcomers to the virtual world! Put on your favorite headset and jump in - defend the USA Capitol Building, the Eiffel Tower and many other famous landmarks as well as your own city. Bringing back gameplay from gaming eras long gone and throwing it in to new virtual reality technology, blast away the outer-space invaders and defend yourself against their missiles & other attacks. Proven to be great for gamers & non-gamers alike through almost a year of constant exhibiting & demos around Australia, in schools, at business events, and other awesome places. Everybody wants to protect their planet! Using motion controllers, you can aim at the alien invaders and fire as much as you like - these simple & intuitive controls work across a variety of VR platforms & devices, allowing everyone to jump in and do their duty for their planet! Become the Planet Protector today! This game has more content updates planned throughout the coming months as well. More themed missions & locations, plus more enemies and other cool features!